Not that you need an excuse for macaroni & cauliflower cheese, but… Did you know that the third Monday of January (on the whole) is meant to be the most depressing day of the year? The idea of Blue Monday was apparently created by a holiday company, to sell more holidays I suppose, and this year it fell last Monday (16th January 2017). Well, if that isn’t an excuse to eat comfort food then I don’t know what is! One of my favourite comfort foods is macaroni and cheese, which isn’t particularly allergy friendly. I’ve made a dairy free macaroni and cheese for little one before by making a white sauce and stirring through grated Violife. It has always gone down well with little one who loves her pasta dishes! 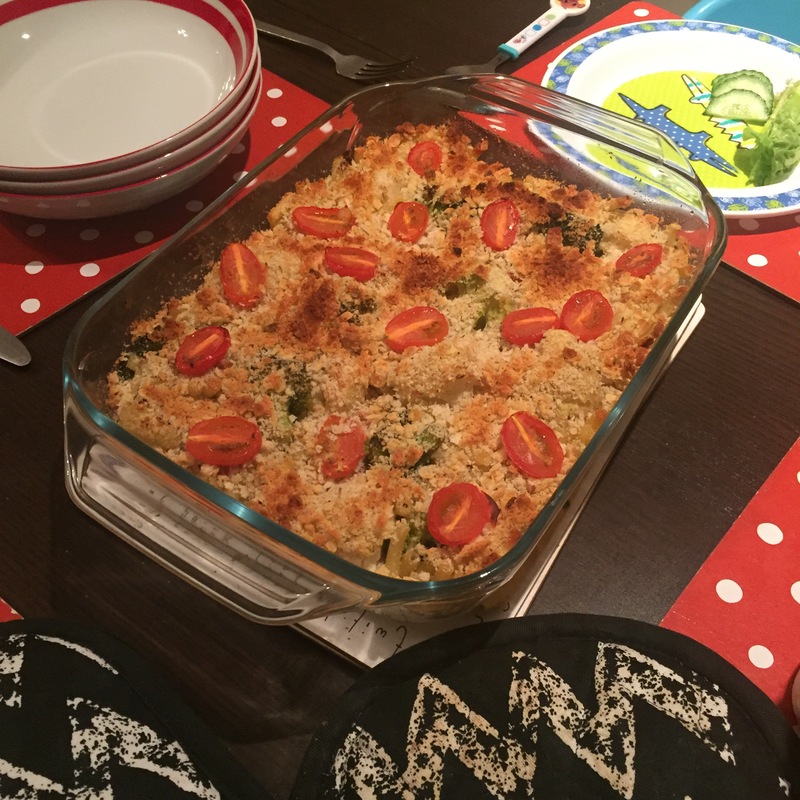 This version is a bit more grown up, but still family friendly, and is perfect for Veganuary. It is also the first time I’ve used nutritional yeast flakes in cooking, which give a nutty, cheesy taste to meals. 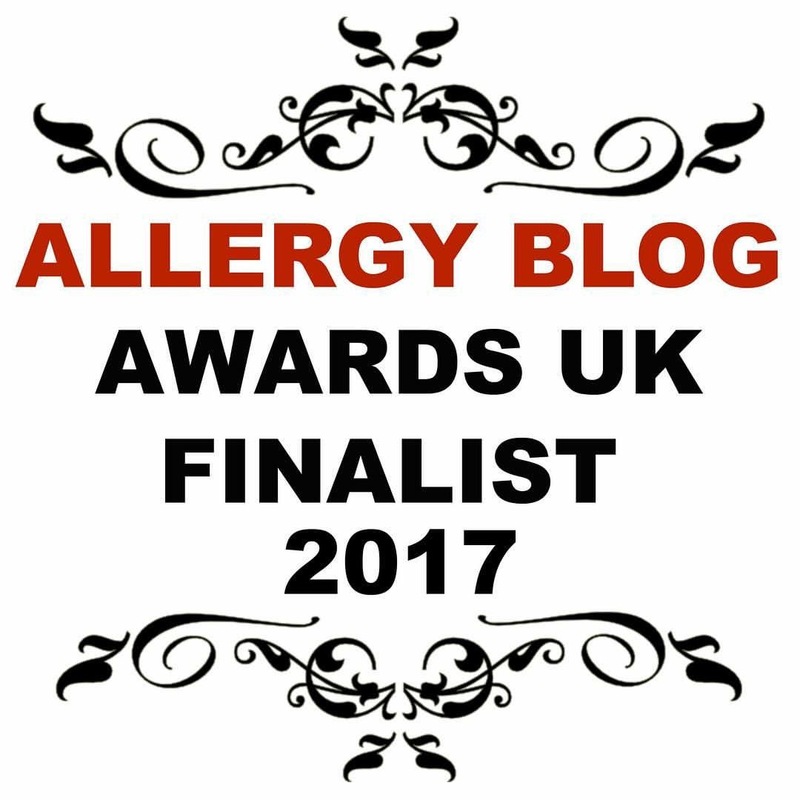 I can see me adding this to lots of recipes, especially my savoury scones! 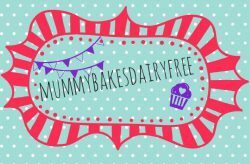 1 tbsp dairy free spread, I used Flora Freedom. Plus extra for greasing the dish. Bring a large pan of water to the boil and add the macaroni, cooking over a medium heat. Whilst the pasta cooks, start to make the sauce. In another saucepan melt the dairy free spread over a gentle heat. Once melted stir in the flour. Keep stirring as it cooks for a couple of minutes forming a paste. I find using a spatula best. Gradually pour in the dairy free milk, stirring to make sure no lumps form. The slower you add the milk the smoother texture the sauce has. When all the milk has been added bring to a gentle boil before reducing to a simmer. Stir through the mustard, nutritional yeast flakes and black pepper. Let the pasta and sauce cook until the pasta is almost cooked. Add the broccoli and cauliflower to the pasta saucepan for the last few minutes of cooking to soften. Drain the the pasta, broccoli and cauliflower and place into a greased baking dish. Pour in the cheesy sauce and mix together. Pop to one side and preheat the oven to 200c or leave to cool before putting into the fridge to cook later. In a frying pan, gently heat the olive oil and lightly cook the garlic for a few minutes. Remove the garlic from the pan and blot off any excess oil. 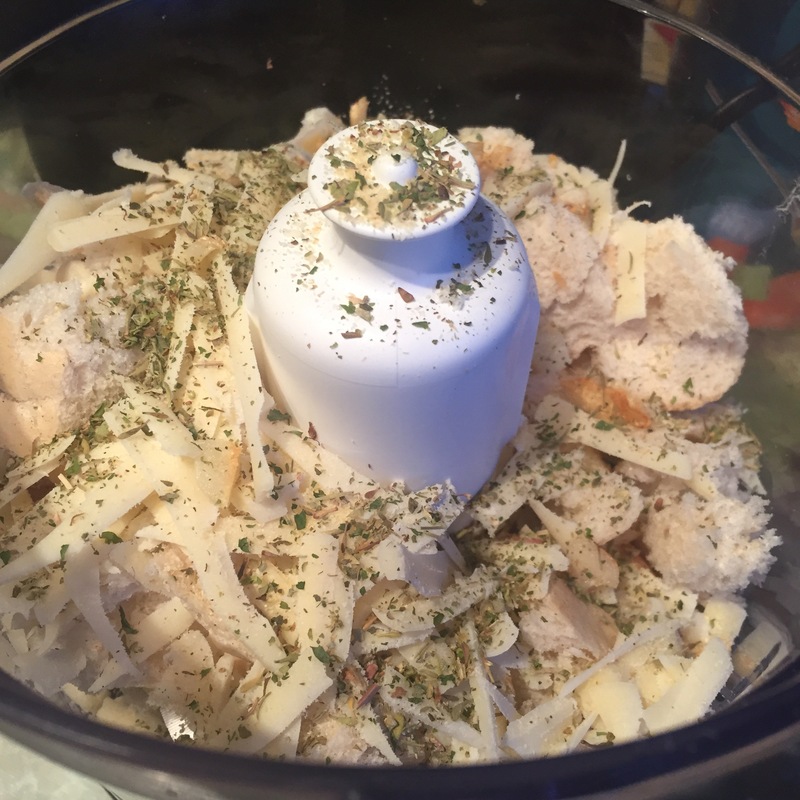 Chuck into a food processor along with the slices of bread, dairy free cheese and herbs. Blend the ingredients until you achieve rough breadcrumbs. Sprinkle the breadcrumbs over the pasta dish and top with the tomato halves. Pop in the oven to cook for 25 to 30 minutes or until the sauce is bubbling. 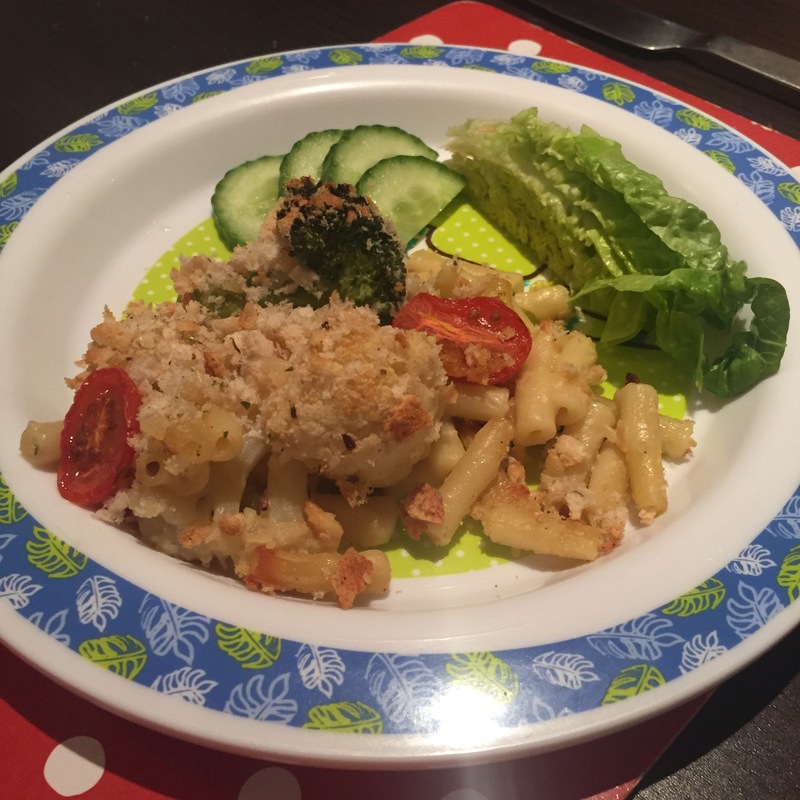 Serve the macaroni & cauliflower cheese with salad and garlic bread!